"Hi everyone, thank you for participating in this Creative Invite. We are really impressed by the designs created by the Talenthouse community! It is really thrilling for us to be able to be part of a crowdsourcing creative process of this level. It was such a hard decision for us to make as there were so many good submissions! We’d like to congratulate Sendoa Aizpurua for being our Overall Selected Artist and for having a clear vision of what we need. We’ve also decided to select an additional Selected Artist, Daniel Barbosa for his label design. We would also like to congratulate Zayed Rafiq and Julian Abal for being selected as Finalists." Frontera, a global Chilean wine brand from Concha y Toro, invites artists from around the world to reimagine its label art, including its brand logo and icon. Frontera is going through a brand refresh. The brand is now seeking a modern, new label design along with a refreshed brand logo to use on their bottles across the Frontera varietals globally. Designs may visually interpret the essence of the brand and its Chilean heritage using the provided label template. Do note that this brand refresh should be an evolution of their current look and feel and not a total revolution as they do not want to lose their base of loyal consumers. Frontera aims to strengthen its visual icons through its label to increase brand recall amongst consumers. One Selected Artist will potentially have their master design produced as the new Frontera global label design and receive a total of $8,500. The artist will receive $5,000 for the selected label design, then will be asked to roll out their designs in 12 other colour versions and create a static key visual to receive an additional $3,500. Three Finalists will receive $1,000 each. You are encouraged to document the creation process of the label design, including the refreshed logo through photos and videos as the Selected Artist and Finalists may be featured on Frontera's brand video and various marketing platforms. Frontera's brand character is warm, uncomplicated and authentic. The ideal companion, always welcome for its simplicity and charisma. Through its brand campaigns Frontera wants to transmit ‘enjoying those simple moments in life’. 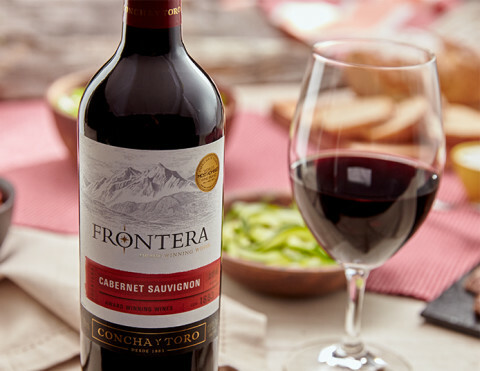 The meaning of the word “Frontera” is boundaries/borders/frontiers which, for the brand originally was oriented to the 4 natural barriers of Chile that protect all of its good things, one of them being the great wine. You may download the brand book to find out more. You may explore interpreting Frontera's brand essence and its Chilean heritage in the label art. Refer to the design guide for details on what to include in your label design. Do refresh the Frontera brand logo by adapting the typography to fit with your design concept, without steering too far away from the original logo. It has to be an evolution of the current logo, not a revolution. It is important to also rethink the current Frontera icon (compass within the “O” in the brand logo) to strengthen brand iconization and improve brand recall among consumers. You have the creative freedom to change the overall shape of the label. Any shape chosen must still fit within the maximum dimensions provided within the label template. Avoid using black as the label design background. While Frontera is looking for modern designs, you are advised to strike a balance between its existing consumers (45+ years old) while attracting new ones in the age group 25-45 years old. Based on a recent study Frontera conducted, the current design has a masculine cut and the new design should be more unisex. Refer to the design guide to see what areas you may change, and what should stay within the label. Please also download the design pack. In the long term, Frontera aims to improve its brand recall / recognition through its design elements. Your submission should include your proposed label design and its refreshed brand logo, along with a 3D mock up of how it will look on the bottle itself. You are encouraged to document the creation process of the label design through photos and videos as the Selected Artist and Finalists may be featured on Frontera's brand video and various marketing platforms. 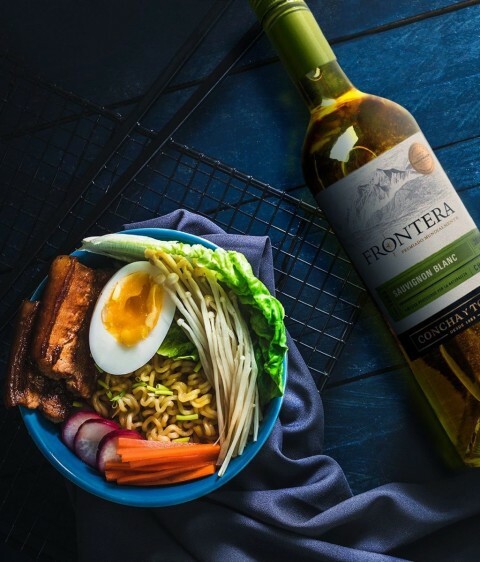 Frontera is known to be a global Chilean wine by Concha Y Toro, selling over 60 million bottles to millions of consumers in more than 110 countries. Concha Y Toro is the 4th biggest vineyard worldwide and is one of the most admired wine brands in the world. Frontera celebrates the diversity of delicious palettes by making all kinds of tasty wines for everyone to simply enjoy. A quality wine of more than 130 years of winemaking experience with Concha Y Toro, the Frontera range is crafted with grapes from iconic valleys and is influenced by natural frontiers. Today, Frontera offers the widest and most dynamic range of wines of colourful hues and an assortment of aroma. This opportunity is open globally to those who are at least 21 years of age or of legal drinking age of wine in their country of origin at the time of entry. Employees and their immediate family and household members of Concha Y Toro and Talenthouse are not eligible to participate. Void where prohibited by law. Please note that only with the start of the Frontera campaign next year in 2020, all submissions will become visible to the public. Please do not upload your submission to your Talenthouse portfolio or share it on your social media channels till the official start of the Frontera campaign. All submissions should use the label template provided and include a mock up of how the label including its refreshed brand logo will look on the bottle. Download the design pack for all the materials needed to work on this brief. If selected, artwork must be provided as a vector file in CMYK supplied as an AI file or similar (high-res, layered PSD files, CMYK and 300dpi minimum, may also be accepted). Artwork must be submitted via the "Participate tab" as a JPEG or PNG max size 10MB. All submissions must be original artwork (meaning not using third party pre-existing copyright materials or stock imagery) except for the material provided by Frontera for use in this Creative Invite only. All rights in and to the material provided are reserved by Frontera. Artists should ensure they have read the 'Things To Consider' section closely. Submissions should follow the guidelines for the label design set out in the design guide. The Selected Artist is required to assign all rights, title and interest in and to the work to Frontera (Concha Y Toro). The Selected Artist will have to sign a Release Form. In return, the Selected Artist will receive the specified incentives. The selected work can still be used for artist’s own portfolio purposes but only after campaign start in 2020. The Selected Artist may be asked for up two (2) rounds of minor amendments to fit production requirements. Artists that are not selected as well as the Finalists will retain ownership in the original portions of their work, however Frontera has marketing rights to promote the work on their social media and online channels worldwide for up to six (6) months after campaign start in 2020. Furthermore, submissions might be used in a promotional video about this Creative Invite. All artists will be credited accordingly in case their work is showcased. Talenthouse reserves the right to remove inappropriate, offensive and harmful submissions as well as submissions that do not fit the brief, guidelines and Official Rules. The Global Brand & Marketing Managers at Concha Y Toro will select from all qualified submissions. A qualified submission is one which meets all the Terms & Conditions, Guidelines and Official Rules.